The Christmas Cheer is upon us. There's summer night drinks, long lunches and too many Christmas Parties to count ahead of us. So how the heck do we survive the the silly season? The average Australian puts on 0.8 - 1.5kg in the Christmas period alone. Here's a survival guide for keeping your health in check, without dodging the social calendar for the next few weeks. Haven't you heard?! Sitting is the new smoking. Research shows that sitting for prolonged periods of time is as unhealthy as smoking two cigarettes per day. Move it, move it (sung in a King Julian voice). Stretch and move with purpose every day. A walk, swim, pilates, yoga, etc. all counts! SIX vegetables per day is your daily goal. Nutrition Australia's recent statistics showed only 93% of Aussie's don't hit the daily recommendation of 6 veggies per day. 1 serve = 1 cup. So fill up you brekkie, lunch and dinner plates with veg. When we think, see or smell food, our stomach cells start secreting hydrochloric acid (Hcl). Hcl supports protein digestion by breaking proteins down into amino acids. It also promotes the digestion and absorption of carbohydrates, fats, and vitamins like A and E by stimulating the release of pancreatic enzymes and bile into the small intestine. Most gut issues, including IBS, leaky gut, acid reflux and inflammatory bowel diseases are signs of low stomach acid. The silly season, think late nights, stress, alcohol, processed foods etc.can decreases Hcl stomach acid. Apple cider vinegar is a cheap, easy and natural way to increase Hcl production and aid digestion. For best results, take 1 tsp of apple cider vinegar in a glass of water, 15 mins before each main meal. Grapefruit Essential Oil: Helps curb sugar cravings, supports weight management, decreases fluid retention (a must-have when flying), supports healthy cholesterol levels, stabilises mood, fights inflammation and can be used for hangover symptoms. Grapefruit oil comes from the rind of the fruit and contains up to 95% of a potent constituent, limonene, which is well-known for it's cleansing properties; internally to cleanse and support liver detoxification and externally to cleanse bench tops and mop the floors. You can enjoy a drop of grapefruit essential oil in a glass of water upon rising or add a few drops to your diffuser. To use as a cleaning product I add 15 drops of grapefruit and 15 drops of tea tree in a 200ml spray bottle filled with water. Peppermint Essential Oil: invigorating and energising oil - aka your new morning coffee is kicked to the curb with a sniff of peppermint! It's a respiratory and digestive oil; aids digestion, reduce nausea and promote bowel regularity, cooling on sore muscles and sunburn and it's very effective for headaches including those of the hangover kind. Lavender Essential Oil: oil of communication; supports you feeling grounded and can manage cortisol(a key stress hormones). It's a mild sedative, so a mothers go-to oil and for those running on empty. Also great for skin support, bits, scratches, wound healing - acne, scars, etc. 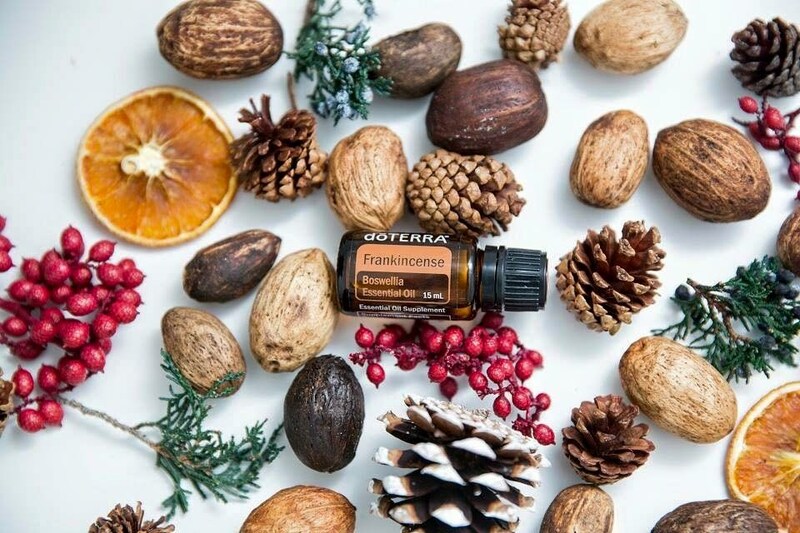 Frankincense Essential Oil: He's not called the 'King of Oils' for no reason. Everyone seems to be obsessed with anti-aging and anti-oxidants - well meet Frank! He dates back to the bible and has been used for centuries. Frankincense is a potent anti-inflammatory oil and can reduce pain, reduce anxiety, stabilise mood, support immunity and support skin complaints and imperfections including pigmentation, cellulite, blemishes, scars, acne, spots and sunburn. I often say to patients: "I don't have a supplement that's as powerful as drinking water". Water hydrates every single cell in your body, allows nutrients to enter the cell and nourish it, and supports detoxification pathways.